Is your compost pile buried under a foot of snow? Do you dread putting on your snowshoes and trudging out to the pile to dispose of your kitchen scraps? Yeah, me too. That’s why I’m planning to start composting inside, with worms. Yes, worms in the house (shhh, don’t tell my husband). The art of composting with worms is called Vermicomposting and people often do it indoors, though it can be done outdoors when the weather is fair. What’s really great about vermicomposting is that anyone can do it, regardless of how much space they have. Even if you live in a small apartment with no outdoor space, you can set up a worm composting bin in your kitchen and use the black gold compost to help your indoor plants thrive. There are some great DIYs out there, but a kit is super easy and has you ready-to-go the day it arrives on your doorstep. It just so happens that Eartheasy offers a complete setup. Read more about how the Worm Factory 360 works here. You can get your worms here. Store your kitchen scraps in the handy stainless steel compost keeper and feed them to your composting worms each week. 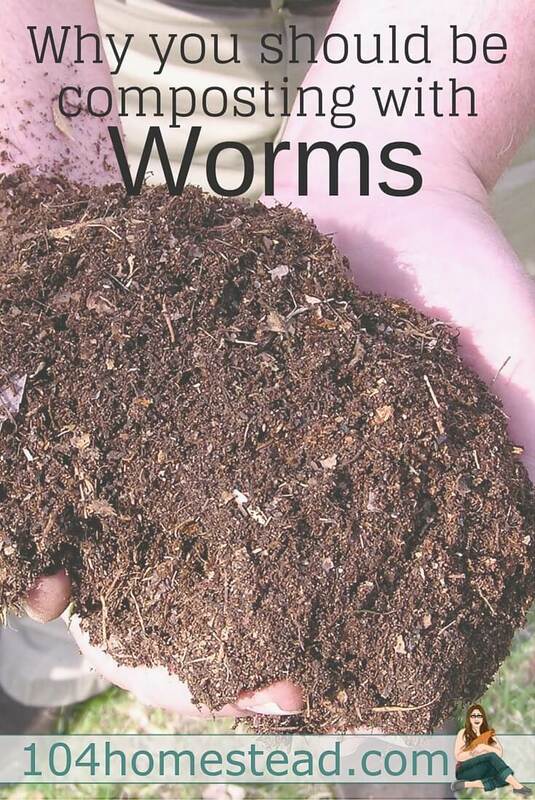 The worms start composting the scraps immediately and in a few short months, you will have enough worm castings to harvest and fertilize your garden. You’ll no longer have to buy bags of compost at the store or worry about your standard compost bin freezing outside in the winter. 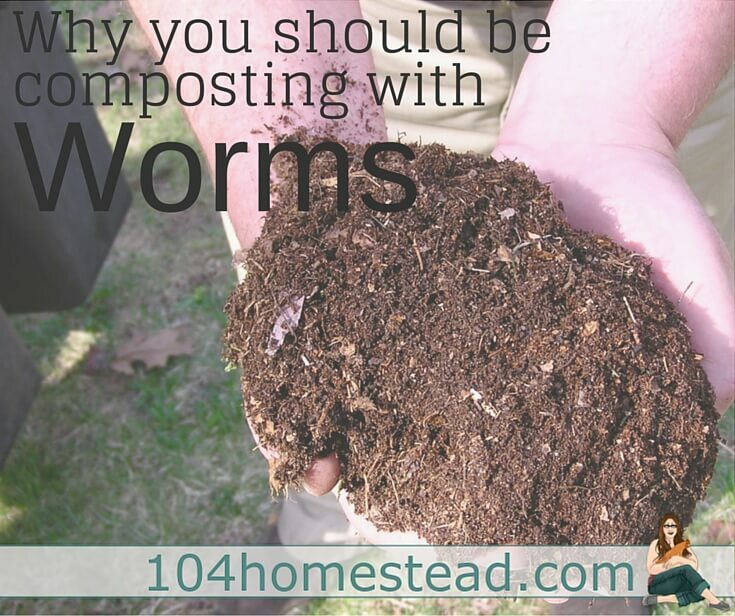 Composting with worms is the easiest way to make compost at home. I’ve been vermicomposting for several years now. I finally made my own bin three years ago and getting ready to try my luck on another. the vegetables garden looks like a jungle sometimes everything grows large…. my vermin babies have grown tremendously I have no idea how many I have no. I have a large vermicompost tower going strong. Vermicompost is one of these best forms of compost you can add to your garden. Even if you only have space to make some, that is still much better than none at all. I want to try making those worm towers that feed directly into the garden. Have you tried those? Attainable Sustainable has a great tutorial for a $5 DIY bin. I’ll see if I can track down that link for you. 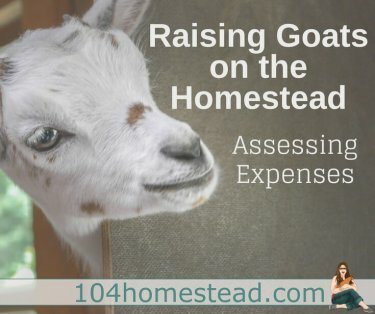 It’s the system I use during the winter when I don’t want to trudge through snow.